Microsoft warns Office for Mac 2011 users not to upgrade to Apple's macOS High Sierra when the new operating system launches in September. Microsoft has warned users of Office for Mac 2011 not to upgrade to Apple's macOS High Sierra when the new operating system launches next month. "Word, Excel, PowerPoint, Outlook and Lync have not been tested on macOS 10.13 High Sierra, and no formal support for this configuration will be provided," Microsoft wrote in a support document. In the same document, Microsoft told those running the newer Office 2016 for Mac that they must update its applications to version 15.35 or later, if they intend to upgrade their Macs to High Sierra. (Version 15.35 was released in June; since then, Microsoft has issued 15.36 in July and 15.37 in August.) "In some cases, you may not be able to launch the Office apps [of version 15.34 under High Sierra]," Microsoft said. Apple is expected to release High Sierra to customers in September. Microsoft's advice about Office for Mac 2011 wasn't unexpected, since support for the application suite is slated to end Oct. 10, a date Microsoft first stamped on the calendar two years ago, but has not widely publicized since. As of that date, the Redmond, Wash., developer will cease supplying patches for security vulnerabilities or fixes for other bugs, and halt both free and paid assisted support. The individual applications - Excel, PowerPoint, Outlook and Word - will continue to operate after support ends, but companies will be taking a risk, however small, that malware exploiting an unpatched flaw will surface and compromise systems. To receive security and non-security updates after Oct. 10, IT administrators must deploy Office for Mac 2016 or instruct workers covered by Office 365 to download and install the newer suite's applications from the subscription service's portal. Office for Mac 2011's end-of-support deadline was originally slated for January 2016, approximately five years after the productivity package's release. But in the summer of 2015, when it was clear that 2011's successor would not be ready by early 2016, Microsoft extended its lifespan by 21 months. At the time, Microsoft cited the long-standing policy of supporting a to-be-retired product for "2 years after the successor product is released" when it added time to 2011. The impending cutoff for Office for Mac 2011 is an issue only because Microsoft shortchanges Office for Mac users. Unlike the Windows version of Office, which receives 10 years of security support, those that run on macOS are allotted half that. Microsoft has repeatedly classified Office for Mac as a consumer product to justify the half-measure, even for the edition labeled "Home and Business." Nor does Microsoft update and service Office for Mac for corporate customers as it does the far more popular Windows SKU (stock-keeping unit). 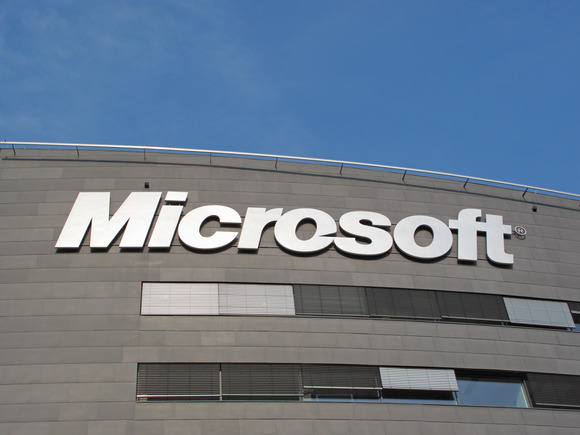 The latter will be upgraded with new features, Microsoft said in April, twice each year for enterprise subscribers to Office 365 ProPlus, with each release supported for 18 months before giving way to a pair of successors. Mac editions, however, are refreshed with new tools at irregular intervals, often long after the same feature debuts in the same Windows application. (Recently, for example, Microsoft added a delivery-and/or-read receipt option to the Mac version of Outlook; that functionality has been in Outlook on Windows since 2013.) And because there are no regular, large-scale feature upgrades to Office for Mac, support is not curtailed by the release schedule as with Windows. The difference between Offices – the behemoth Windows on one side, the niche Mac on the other – has been put into even starker relief recently: Microsoft has adopted March and September dates for launching new upgrades to Windows 10, Office 365 ProPlus and Windows Server, but made no similar promises for Office for Mac 2016. It's clearly the odd app out.